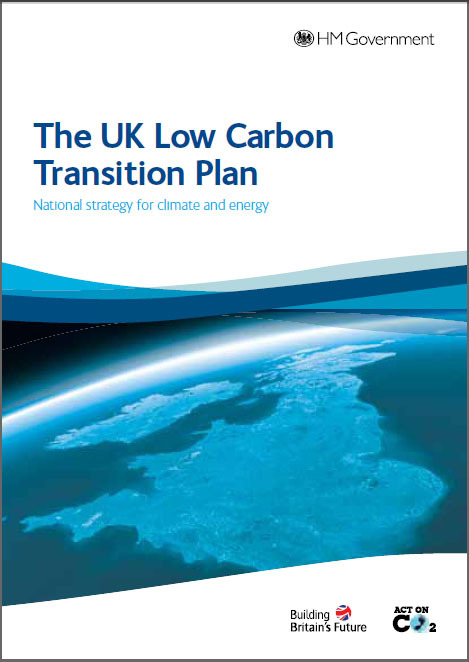 " The UK Low Carbon Transition Plan plots out how the UK will meet the cut in emissions set out in the budget of 34% on 1990 levels by 2020. A 21% reduction has already been delivered ? equivalent to cutting emissions entirely from four cities the size of London. Transforming the country into a cleaner, greener and more prosperous place to live is at the heart of our economic plans for Building Britain’s Future and ensuring the UK is ready to take advantage of the opportunities ahead. The average new car will emit 40% less carbon than now. 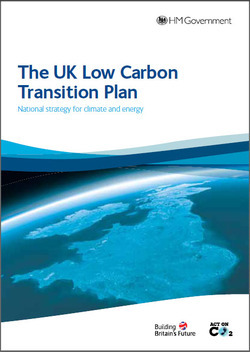 The Transition Plan is the most systematic response to climate change of any major developed economy, and sets the standard for others in the run up to crucial global climate talks in Copenhagen in December.